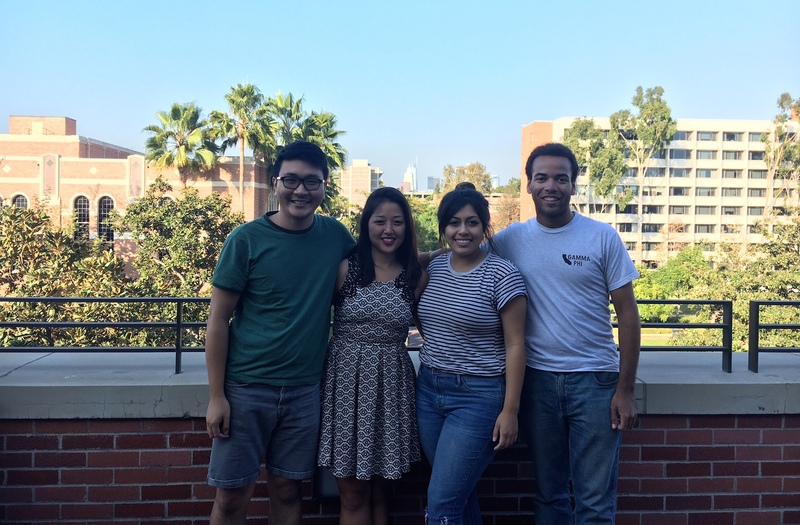 During the 2016-2017 academic year, the Greetings from East L.A. (GELA) project team – Public Matters and community-engaged architect and urbanist Theresa Hwang of Dept. 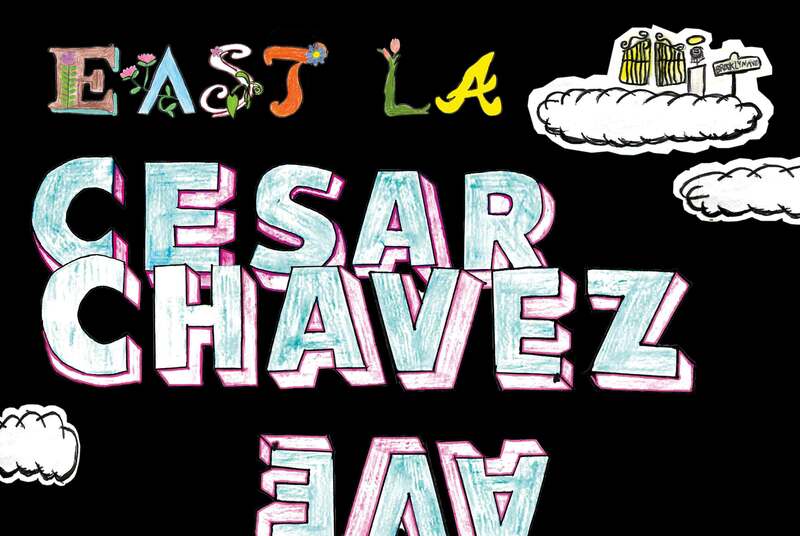 of Places – worked with two classes of high school seniors from the East Los Angeles Renaissance Academy at Esteban Torres High School (ELARA) on a set of 27 postcards and public projects. 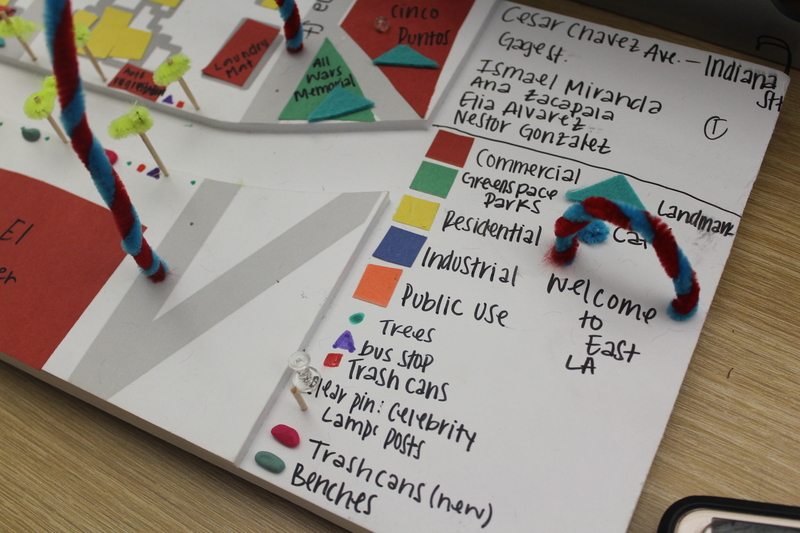 GELA explores, documents and interprets the value and values that the high school students assign to people and places in East L.A., while responding to questions about representation and equity. 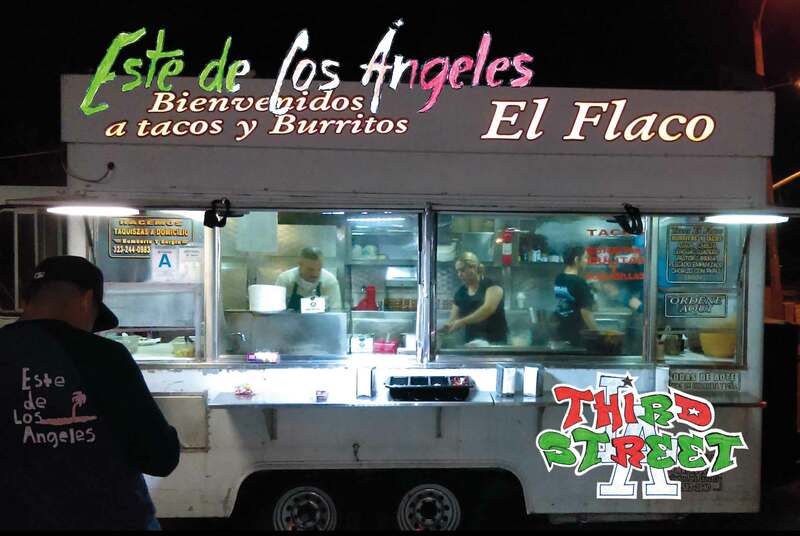 The work of the 2016-2017 academic year centered around East L.A. Main Streets. 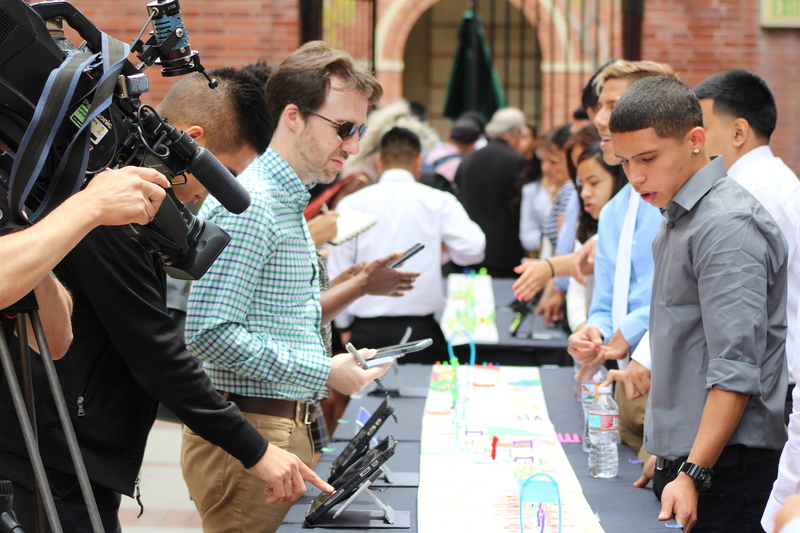 ELARA students documented, explored, and offered their vision for the future of five streets: First Street; Third Street; Cesar Chavez Avenue; Atlantic Boulevard; and Whittier Boulevard. The project team met twice weekly with the classes. 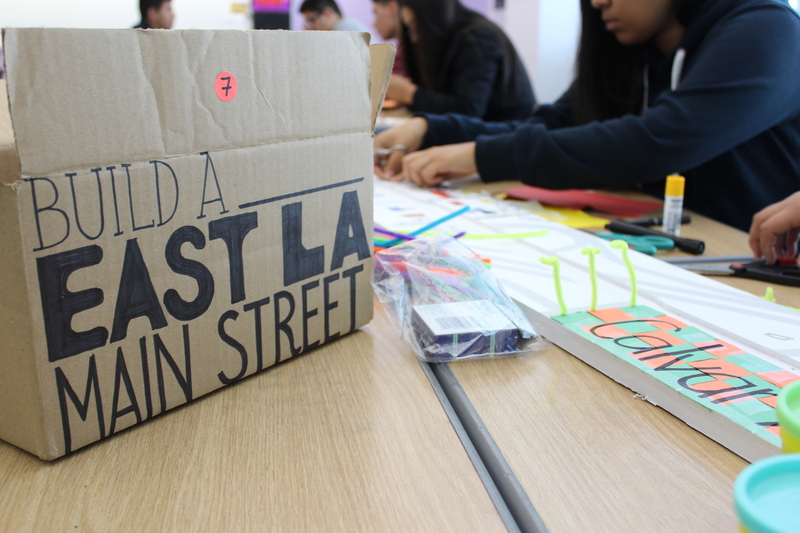 ELARA students learned about East L.A. history and plans for its future through a study of its built and planned environment. What elements are intrinsic to the spirit, culture, history, and physical characteristics of East. L.A.? 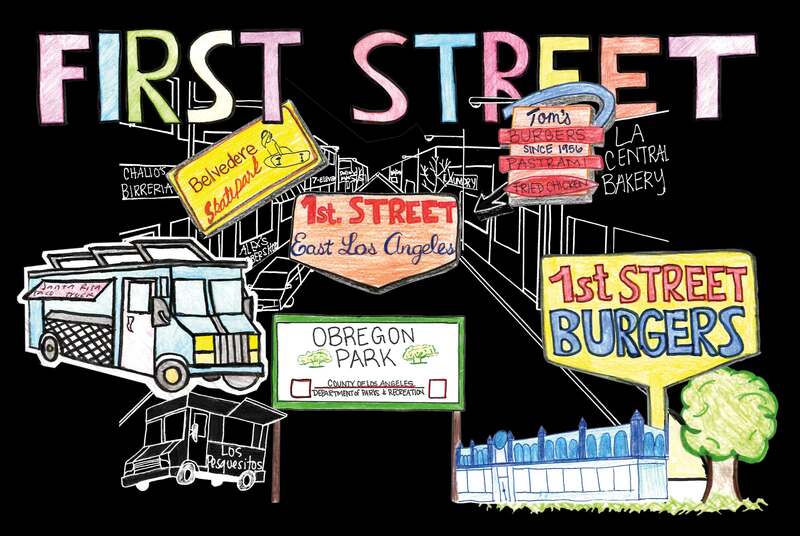 What makes an East L.A. main street unique? 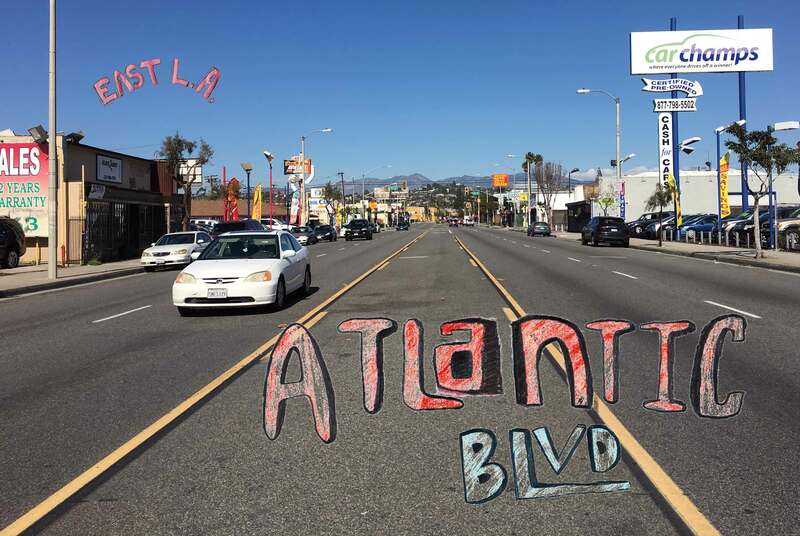 How can East L.A. main streets improve, while preserving and celebrating their unique attributes? 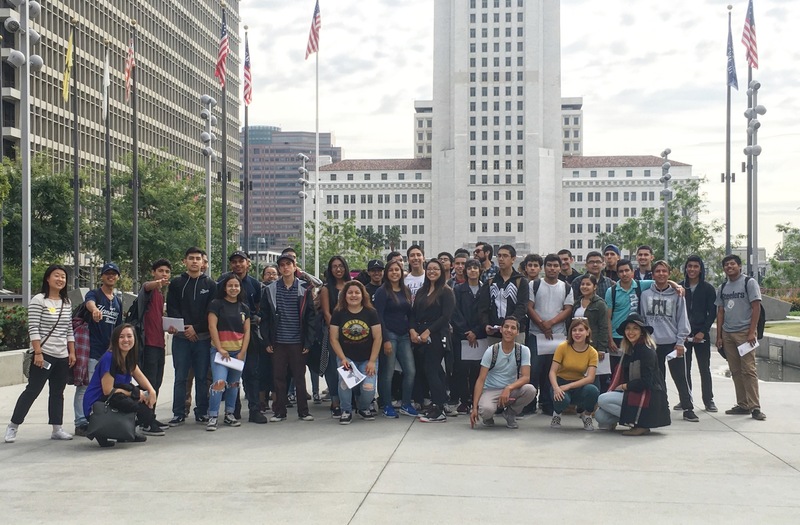 Field Trips – Students took two field trips to learn about main streets: 1) a trip to Downtown L.A. to learn about historic corridors and multi-modal transportation, safety, and livability; and 2) a trip in East. 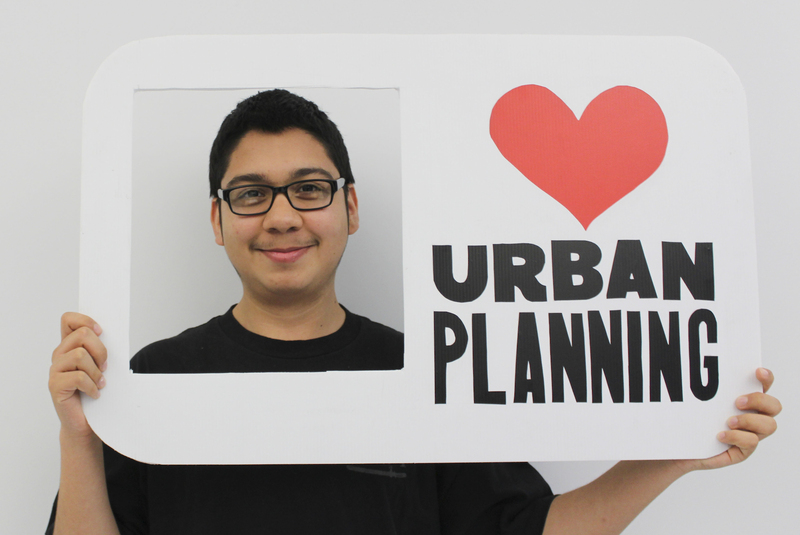 L.A. led by Regional Planner Carmen Sainz. >> See photos from the excursion with Carmen Sainz! 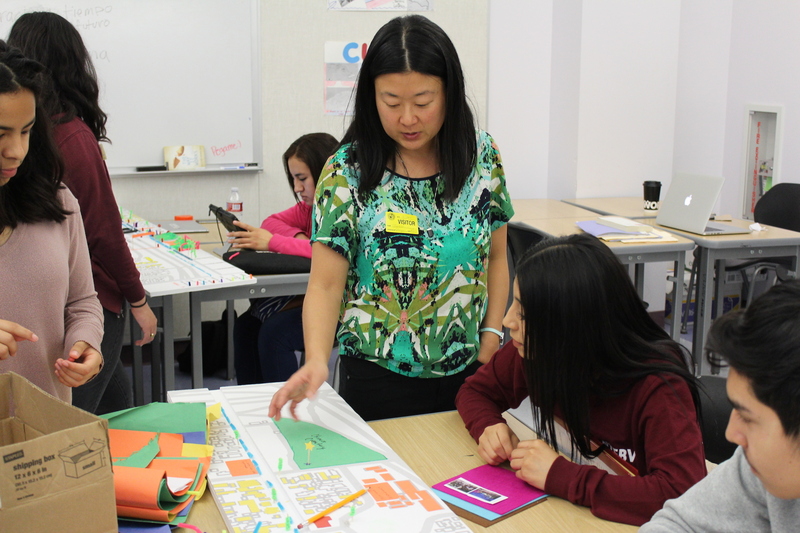 Workshops – Students: learned about planning and zoning concepts; debated the role of chain stores; created models of five main street corridors; and explored planning questions about East L.A. main streets. Hands-on Learning – Students wrote, drew, developed lettering, and explored graphic design and photography. >> Peek in the classroom! 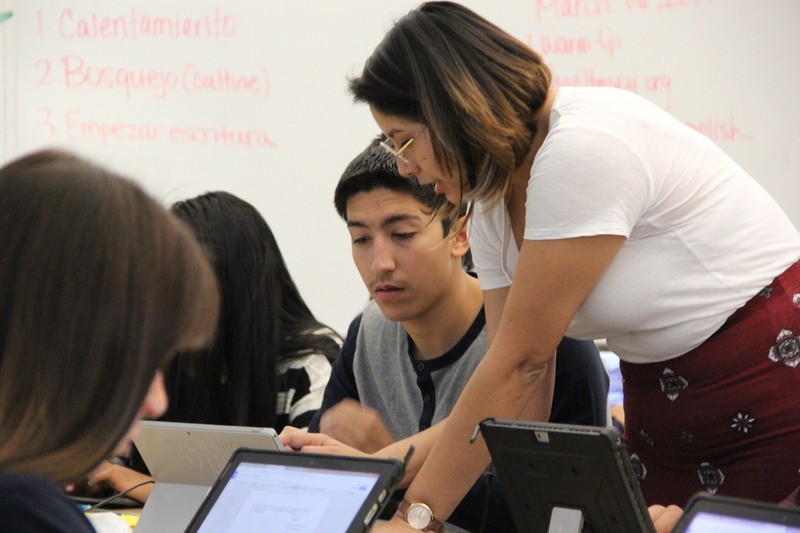 Community Journalism – Students created an authentic East L.A. narrative, read their pieces on the L.A. Times High School Insider website. 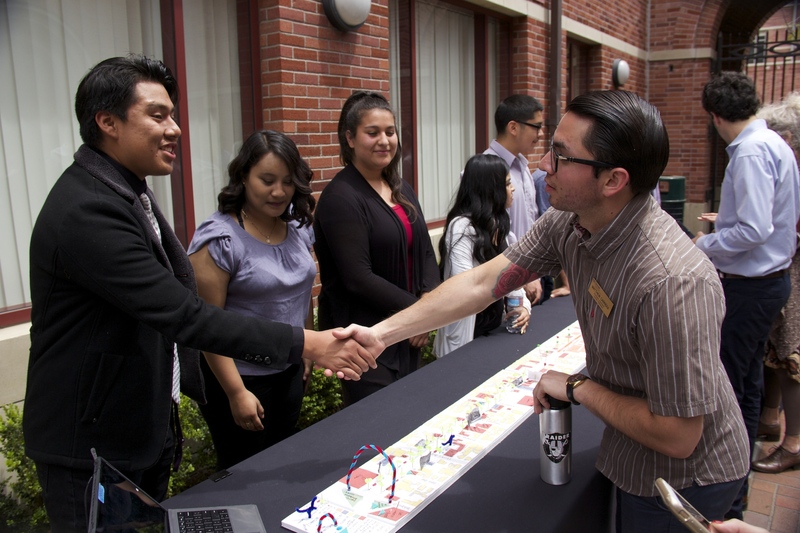 Presentations – Students presented to the USC Sol Price School of Public Policy students, faculty, and administration and to community members on the ELARA campus, including fellow ELARA students, teachers, and administrators. ELARA Teachers Scott Cody and Michael Rocha and ELARA Principal Martin Buchman. 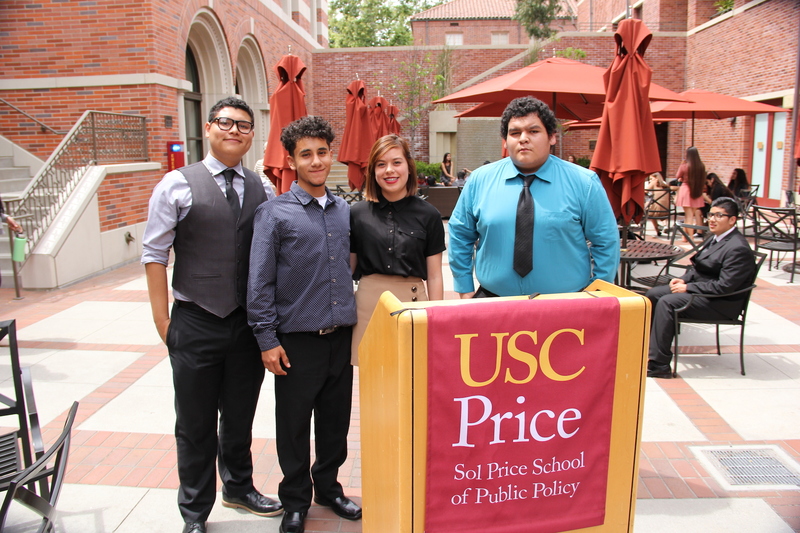 Through a partnership with the USC Sol Price School of Public Policy, undergraduate and graduate planning students supported the project and presented to ELARA students on urban planning and design concepts: Alex Kanegawa, David Roachford, Marina Rose Salazar, and Leslie Shim (Fall 2016). 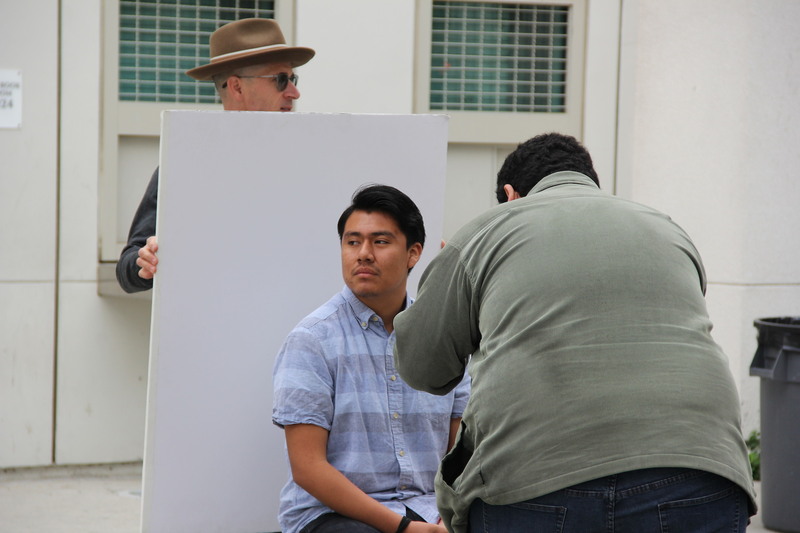 Photographers Rafael Cardenas and Elon Schoenholz came into the classroom to provide students with hands-on photography training. >> Check out photos from the training! 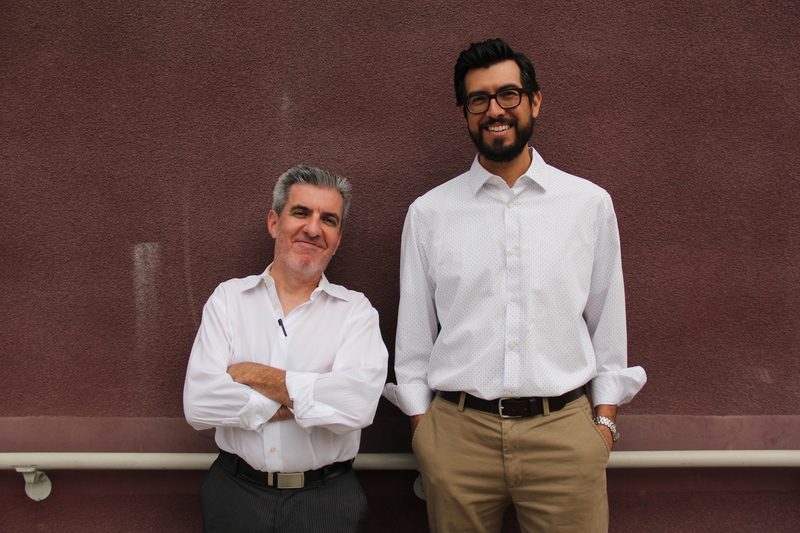 Two Urban Futures Lab Fellows, Andy Alvarez and Shirley Ramirez, were instrumental in the classroom and in grounding and deepening the students’ understanding of East L.A. from a local perspective. Kyle Finck of the Los Angeles Times provided students with journalistic counsel (not pictured below). 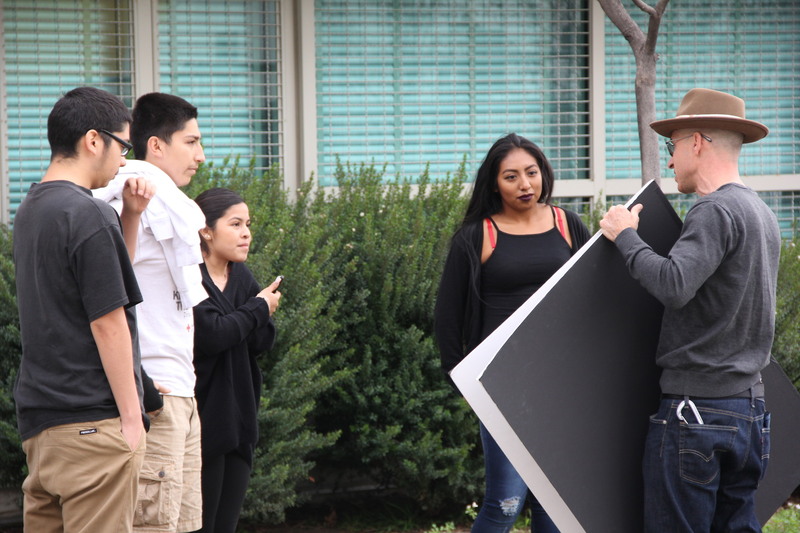 Two ELARA students, Manolo Aguilar and Elva Osorio, served as Exploring the Arts Apprentices (not pictured below). 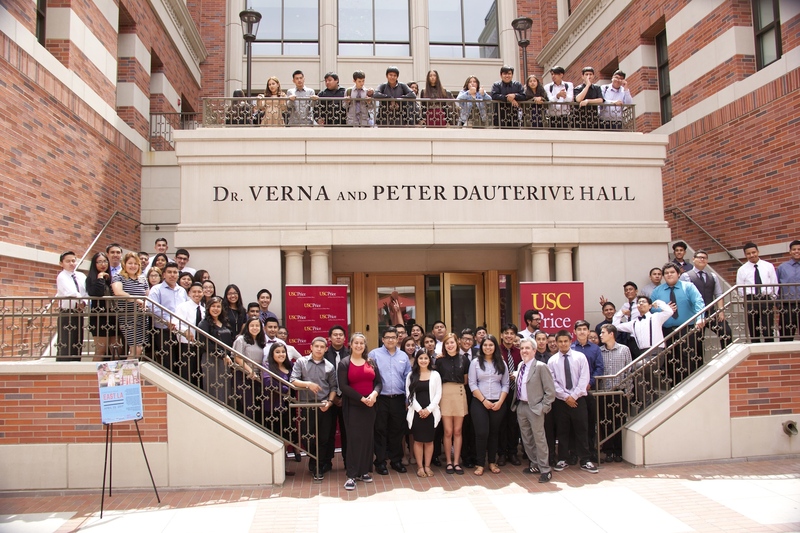 Greetings from East L.A. (2016-2017) was supported by Exploring the Arts, the East Los Angeles Renaissance Academy at Esteban E. Torres High School, a LRNG Innovators Challenge Award, and the LEAP Program at the USC Sol Price school of Public Policy. 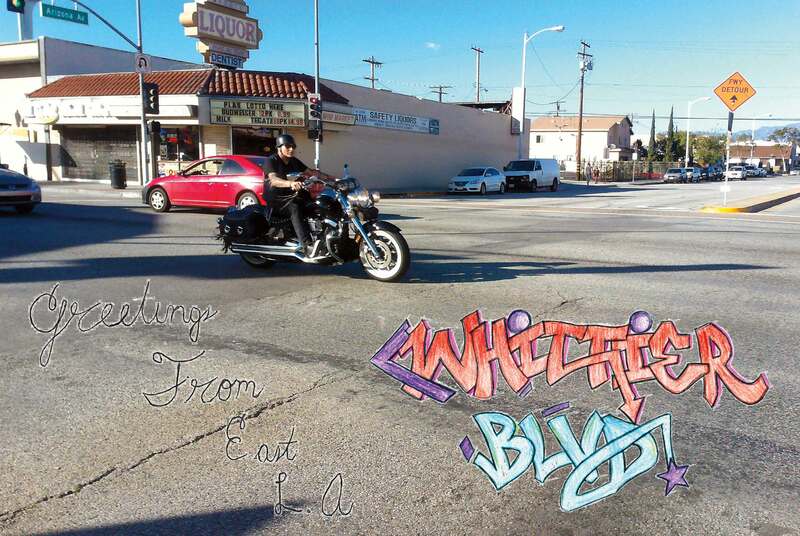 Back to Greetings from East L.A.